Braemoor Health Center was ordered July 1 by the state to stop accepting new patients. State regulators have declared that residents at a troubled Brockton nursing home are in “immediate jeopardy” after finding that workers failed to respond appropriately when one resident suffered a heart attack and another desperately needed oxygen. The state health department on July 1 ordered the nursing home, Braemoor Health Center, to stop accepting new patients, threatened to remove it from government programs that cover most residents’ bills, and recommended fines as high as $10,000 a day until safety is restored. 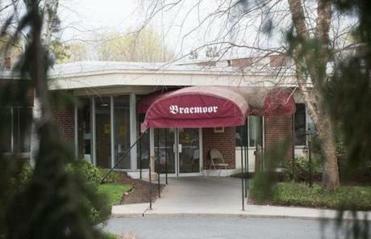 Braemoor is one of 11 Massachusetts nursing homes owned by Synergy Health Centers of New Jersey, a problem-plagued company that was slapped in April with what regulators characterized as unusually steep federal fines after two deaths at the company’s Wilmington facility, Woodbriar Health Center . The federal Centers for Medicare & Medicaid Services fined Woodbriar $288,400 for health and safety violations in connection with resident deaths in February and December. In response to the latest violations, a spokeswoman for Synergy issued a one-sentence statement and declined to comment further. “We are working with the Department of Public Health to be in compliance,” the statement said. Braemoor also failed to “ensure that supplies and equipment were available and in working order to staff responding to residents in cardiac or respiratory arrest,” according to the letter. The nursing home also failed to provide specialized care to another resident who needed to receive oxygen and failed to ensure that alarms on doors leading to stairs were engaged and functioning appropriately, the letter said. State health officials are recommending Braemoor be terminated from Medicaid and Medicare, the government health programs that pay most patients’ bills, if conditions do not substantially improve by July 24. Terminating a nursing home from government health insurance programs is rare. Regulators ordered “immediate corrective actions” at Braemoor to address problems they uncovered. The nursing home must review and revise — or develop — procedures that are provided to staff who respond to residents in cardiac or respiratory distress, according to the letter. Braemoor must also provide training in cardiac and respiratory care. The Brockton facility was ordered to ensure staff are trained and are competent to respond to alarms that sound when residents wander out of locked areas of the nursing home, the letter from the Department of Public Health said. Additionally, the nursing home was ordered to make sure workers have enough reliable equipment so they can assist residents suffering severe heart or respiratory complications. 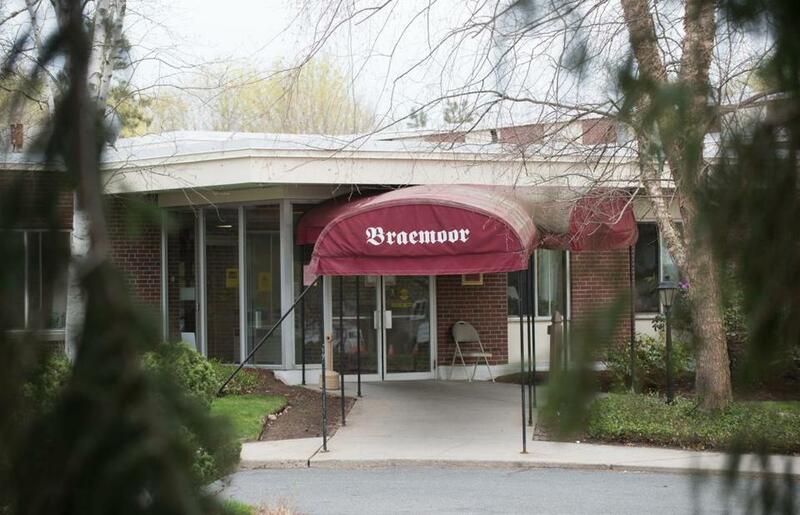 This is not the first time Braemoor has faced discipline, or that a Synergy nursing home has been cited for patient harm linked to inadequate supplies. State regulators in September cited New England Health Center, a Synergy nursing home in Sunderland, for medication errors involving two patients who died shortly after the mix-up. The Sunderland nursing home had run out of automatic pumps to deliver IVs of a saline solution mixture. Regulators discovered that the nursing supervisor presiding over the patients’ care at New England Health Center had scant experience administering intravenous medication and guessed at the right amount. One of the residents, with congestive heart failure, received double the amount of sodium and 10 ounces more saline solution than prescribed. The other resident, with kidney disease, received the wrong solution. In 2014, Braemoor was cited for failing to provide timely evaluation and treatment after a resident fell and broke her hip. In that case, 85-year-old Marie Crean moaned in agony for two days before anyone at the nursing home noticed she had broken her hip. Crean soon developed a pressure sore on her heel because her leg was nearly immobile after the fall. That pressure sore “spread like wildfire” according to her daughter, because that, too, was overlooked by staff. Crean died two months later.